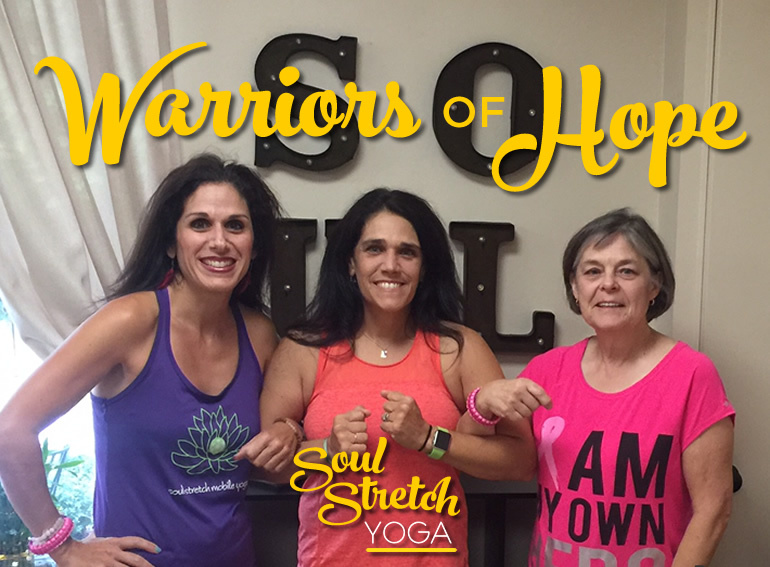 Since sharing my diagnosis, the outpouring of love and support from our yoga community has been amazing. And I’ve heard many inspiring stories of our students own courageous battles with cancer. It reminds me that WE ARE ALL IN THIS TOGETHER. Everything belongs to all of us – rough days and rainbows, dirty laundry and sun drenched skies, hungry hearts and fall harvests, angry words and healing prayers. Every challenge we take on serves to remind us that we are stronger than we know, more capable than we ever dreamed and loved more than we could possibly imagine. Surrounded by all this love and light, we can then play any cards we’re dealt with grace and gratitude. NamaSLAY cancer, my friends and take care!